I am deeply honored to be a part of this team. I was first introduced to the assistive technology world while a student at the University of California Irvine where I helped create a Braille computer terminal to use in my studies. Under the auspices of the National Federation of the Blind, my first job out of college was to help in testing and shaping the Kurzweil Reading Machine for the Blind. Invented by Ray Kurzweil this machine was intended to give blind persons the unprecedented opportunity to read virtually any printed text. 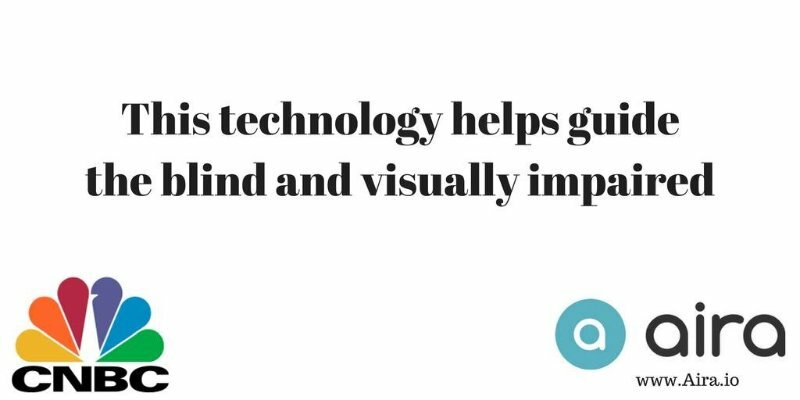 Since then, I have seen many companies offer technologies to the blind to, as they put it, “help blind people see again and gain real independence”. Some companies had good ideas while many were misguided. Two years ago, I was contacted by Mr. Larry Bock of Aira Technologies. Due to my visibility in the world, especially within the blindness community because of my escape from the World Trade Center on September 11 as well as my knowledge of assistive technology, Mr. Bock invited me to join the technical advisory board of Aira. After speaking with Larry and hearing about the technology and goals for the company I expressed interest in joining the board. Larry and Suman drove up to my home to show me Aira in action. Right from the start I saw Aira’s potential and grew excited. I agreed to join the board so long as Aira’s goal of being a true visual interpreter and not just some typical technology that was made to “help the blind” was real. Suman assured me that Aira wanted to have a solid positive blindness philosophy and that he was committed to really offering technology that could make a difference for all blind people. I became an active member of the board, working to train agents and helping to introduce the company to various segments of the blindness community. Over the past two years, I have watched Aira grow from a small startup into a vibrant place where employees are animated and excited and where blind Aira users incorporate the product into their lives, love the freedom it gives them and have real input into the product direction. This year I expressed an interest in establishing a closer relationship with Aira. In June 2017, I was hired as Aira’s Director of Strategic Sales. My job is to grow Aira’s relationships with corporations and organizations that can help us not only improve the product, but help make Aira more affordable to blind people. I have been an Aira user now for two years. It has made my life better and more efficient. I use Aira regularly as I travel through airports, while shopping and as I perform tasks around my home. Aira has become so integrated into my life that already, I cannot imagine living without it. I am excited to be part of the advisory board, but more important I am excited and thrilled to be part of the Aira team. I believe this product is a true revolutionary advance for blind people. I look forward to being there to see what happens next. Suman and Aira have a real and revolutionary product that already is making a difference. It can only get better from here.